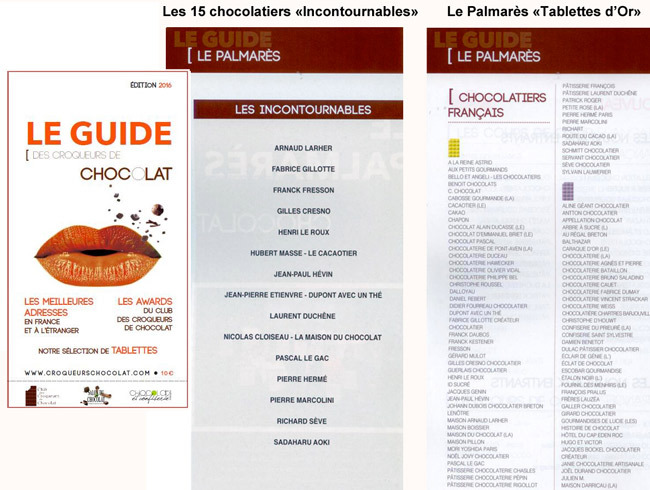 We are very proud to be elected as "A Must" among the greatest 15 "Incontournable" chocolate makers in France by the "Club des Croqueurs de Chocolat". The box "Italian Journey" is granted a "Tablette d'Or", the highest award in the Guide. "Les Incontournables" : Maison Le Roux is elected as "Incontournable 2015"
This highest award is given to the chocolates of the box "Voyage en Italie". The "Club des Croqueurs de Chocolat" has tested and appreciated the four chocolates of the box "Voyage en Italie", Modena, Capri, Palerme, Turin Lait. Click here to see the chocolate box "Italian journey". "Subtle and perfect achievement of chocolates with a beautiful shine, fine associations like pistachio and marzipan in Palermo, or more daring with balsamic vinegar and raspberry in Modena, a journey of flavors with eloquent names." (excerpt from the 2016 Guide). The Club is a reference for taste chocolate. In 2015, 155 French chocolate makers and 28 foreigners were tested and only 15 were elected as "A Must ". 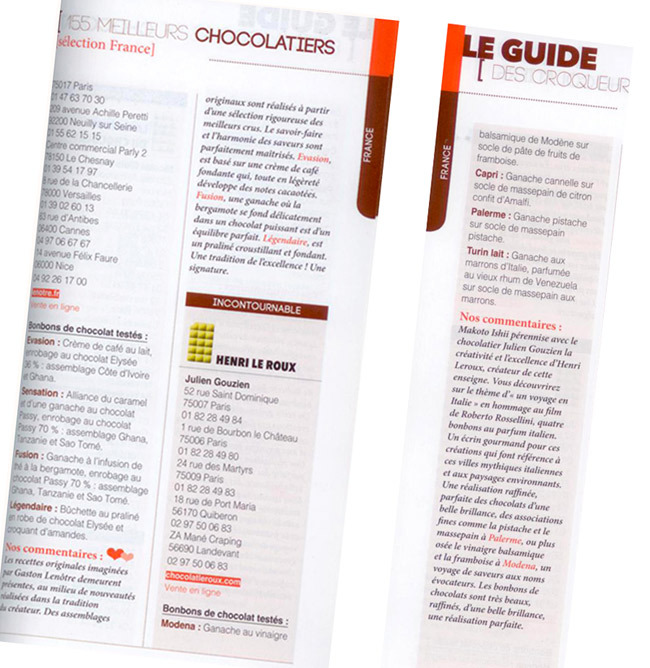 You can find the prize list in the 2016 Guide des Croqueurs de Chocolats !